WASHINGTON (CNN) - Tuesday's Senate primary in Kansas ended another ugly showdown that pit a tea party-backed challenger against an establishment Republican incumbent. CNN projects incumbent Sen. Pat Roberts has fended off conservative challenger Milton Wolf in the state's GOP Senate primary. Where was reince during the recent blood baths, wasn't he supposed to keep them in check? We knew that was a pipe dream, when you have zero accomplishments, your left with nothing but smear tactics, and there's just so much there. Its nice to see them eat each other for a change, when they get done exposing each other, what's left is unelectable, at best. But have no fear, ignorance and prejudice will keep them in the game. Remember in 2009, workers received a payroll tax cut? Isn't it ironic that since Boeher and the Baggers took over the house that benefit to workers expired? The TEA Party is not about helping workers, only obstructing government. TT, don't forget the 300 billion in tax cuts for the rich, you know, the ones that don't require being offset somewhere to fund it. I just don't understand how people are willing to buy their BS, really, does having a common enemy mean more than your standard of living, why can't you see how they play on your insecurities, and fears. It's very disheartening to come to terms with the reality of it all, the gop has told you they will cut your throat, and further enrich the wealthiest among us, and have convinced you its for your own good, sad, truly is. The Democratic Party Marxists, were the real winners. The "Tax Evading Americans" Party isn't dead yet, not by a long shot. The radical element has always been present in the right wing. They have simply called themselves different names over the years and decades. The establishment has always kept them out of sight, like an intoxicated uncle when you have house guests. But, the establishment made the mistake of turning them loose following the nomination and the eventual election of Barack Obama as POTUS. To be fair, the hard liners have had a good argument to make. Moderates like McCain and Romney lost, while the more hardline approach resulted in landslide wins in 2010. Some of the hard liners are slowly and stubbornly learning that they are fighting yesterday's fight. Most will never see through their ideological fogs to recognize that being more extreme than the next guy is a death spiral. I say the oligarchs will remake the Republican Party. They've already turned money into free speech and corporations are people. Some folks will say that the oligarchs took control of the Republican Party decades ago, which in a large sense they have. You haven't seen nothing, yet. How long do you think it take for those "corporate people" to start demanding the right to vote. I can hear the battle cries now. "Taxation without representation." How long, I ask? Wolf said in his concession speech that "while we came up short tonight, I believe our battle just begins." "I believe we're just getting warmed up," he said to his supporters"
Even Kansas is beginning to reject the TeaPers. So ... whatever, Mr. Wolf. On another note: there is no longer such a thing as an establishment Republican. They are ALL so afraid of their own shadows, they tremble at the mere thought of doing what is right for America in fear that Limbaugh (and company) will give them a thumbs down. These GOP incumbents (and GOP hopefuls) might be calling themselves "Republican", but in actions, words, and deeds ... they are nothing but weak kneed stooges vying for their lobbying kingpins whose only interest is that which they lobby for. I've noticed that every single GOPer is screaming the same thing. We have to stop Barack Obama. Now I do understand the Democrat/Republican thing, but what I don't understand is exactly when did it become the entire goal to defeat the POTUS? And will this trend continue once he's out of office? The GOP acts like we're fighting a civil war. Us vs them. I may be a Democrat but I don't feel that way. I didn't like Bush but it was never an us vs them thing to me. I find it hilarious how the GOP spews how Obama is dividing the nation when they are the ones leading the charge. It amazes me how anyone not making 6 figures votes for them. And don't get me started on their uneducated, living off the government base. They're insane voting for them. It's sickening, disheartening and pathetic what this country is coming to. And somehow it's all the fault of President Obama. The most disrespected POTUS in the history of the USA. @ Rick: Marxists, in Kansas? 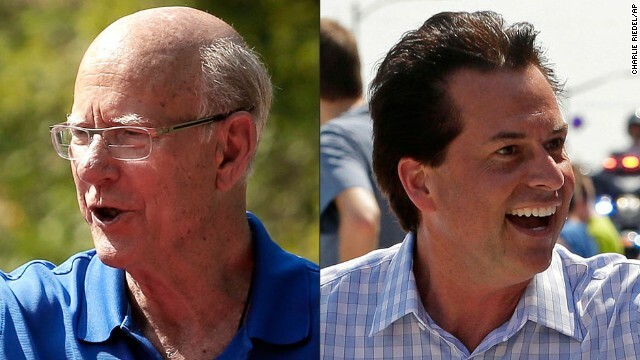 How has Pat Roberts been an enabler for the supposed Marxists that fill the Democratic Party in Kansas? You've proven the old dictum about South Carolina correct: " Too small for a republic, too large for an insane asylum". With your comments supporting the defacing of the Lincoln Memorial and declaring Lincoln a war criminal, you just keep undercutting your case.